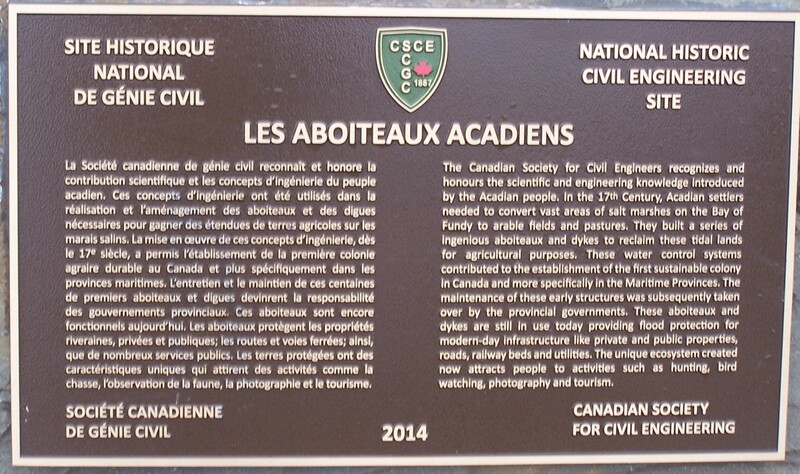 Aboiteau farming was a form of land reclamation used by French Acadian colonists in the 17th. and 18th. centuries on the shores of the Bay of Fundy. 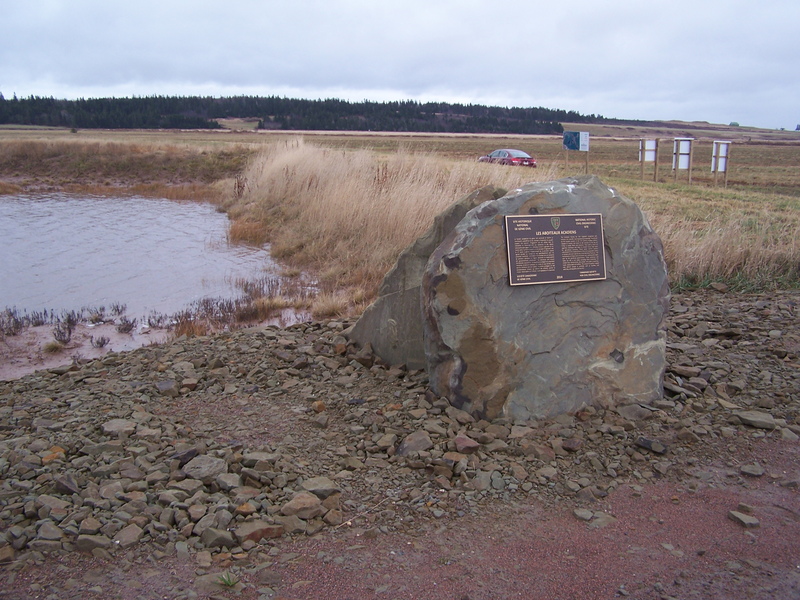 The methodology of installing the aboiteau is that first earth dykes were built to prevent high tides from flooding areas of salt march. The aboiteau is a wooden sluice built into the earth dyke which incorporates a clapper valve. This valve is open at low tide to allow water to drain from the farmland, but shuts at high tide to prevent salt water from flooding back into the fields.